Contact Us - Monona Chamber & Economic Development, Inc.
Our door at Monona, Iowa Chamber is always open to you! Please stop in any time during our regular office hours. If you find the office closed during posted business hours, then we may be attending off-sight business meetings. Please leave a contact number where we may connect with you. You may drop off a message or small package through our front door's mail slot. Connecting with you is very important to us. If you're a visitor, we look forward to helping you have a most-pleasant experience in our friendly northeast Iowa community. And if you're a resident wanting to get more involved here or business owner wanting to support your fellow business owners, let me know when you're available to get started. 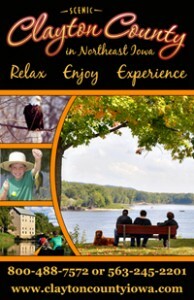 The chamber recently launched its new mobile-friendly Monona Chamber website with our locals and visitors in mind. Finding general or specific information on our website is fast and easy. If you're looking for more about a business or business type, attractions, recreational activities, rentals, employment ads, properties for lease or sale, etc., just type a descriptive keyword(s) into the "Search Bar" and hit "Go"at any page's top-right corner. Also find each chamber members' services offered under the "Members" tab located on the top "Navigation Bar". Monona boasts an abundance of great retail and specialty shops to fill your browsing and retail therapy needs, as well as a wide variety of commercial and professional services companies. Depending on what you're in the mood for, our six unique spots for dining and two pubs for adult entertainment will satisfy your taste buds with great food and drinks, live music, fun nightlife or a quiet family dinner. Our upper Mississippi River valley in the Driftless Area is a pristine, natural recreational playground for year-round water and land sporting activities, such as kayaking, canoeing, seasonal and ice fishing, motorcycling hard-surface scenic byways, snowmobiling, snowshoeing or cross country skiing. Plus, there are many more area events, activities and attractions to do and see. Relax at our family aquatic center, wooded butterfly gardens and every-expanding walking / biking trails, all-inclusive playground and park, RV and rustic camping grounds, newly-expanded library, historical museums, etc. Stop in today to learn more or pick up your copy of local brochures and the updated Clayton County Relax * Enjoy * Experience tourism booklet. 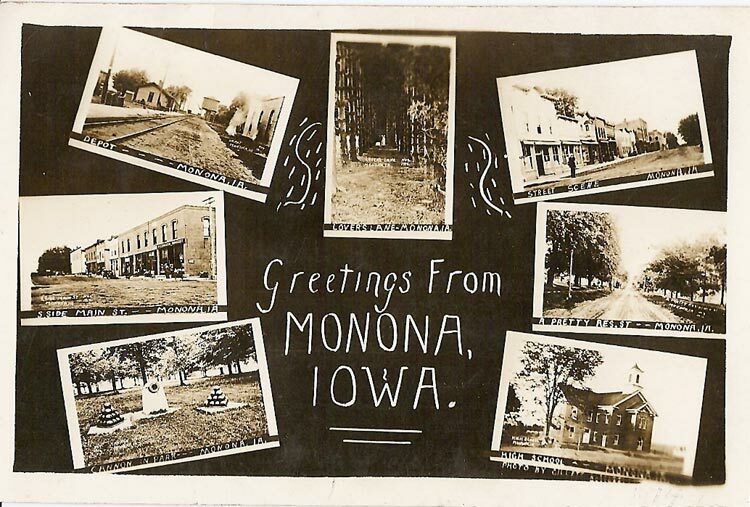 What's so special about Monona? We're here to promote fun & interesting activities, events, & places to explore around town & in our immediate beautiful, pristine "Driftless Area" and the breathtaking rivers and bluffs of God's Country. Please browse through the stories, information, videos, & photos located here on our website & stop for a visit to Monona Chamber to learn even more and pick up some travel & shopping brochures. on Facebook & be one of the first to find out about community events, activities, news & updates.